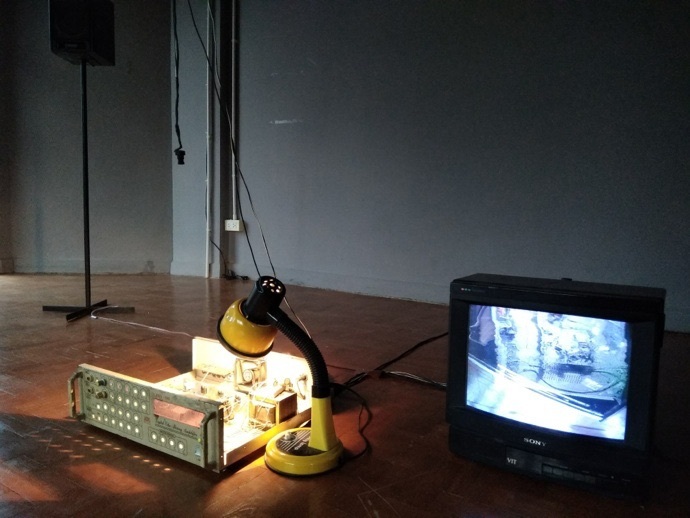 Another Sound II is the second part of an exchange project by Khvay Loeung and Arnont Nongyao, which stems from the two artists’ encounter during Arnont’s residency with Sa Sa Art Projects in Phnom Penh in 2015. 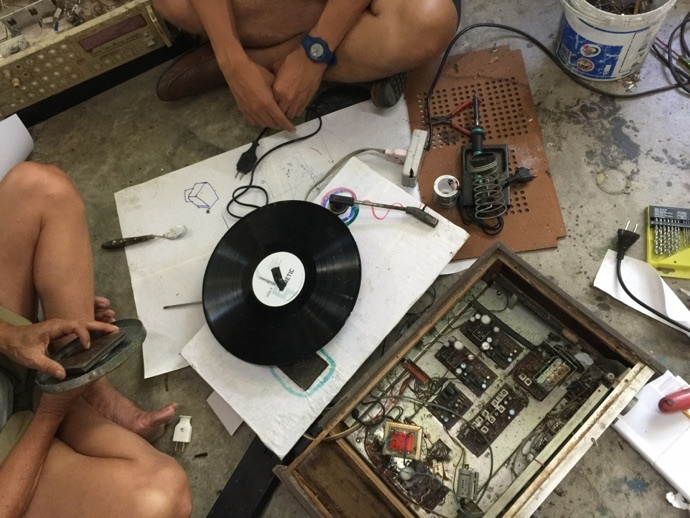 Part one of the project—Another Sound—was realised early this year at Sa Sa Art Projects, where Arnont spent time with Loeung in Phnom Penh to collaboratively produced moving images, sound and photographs, exploring an experimental approach to communications and a concept of life passing-on through sonic and visual mediations. 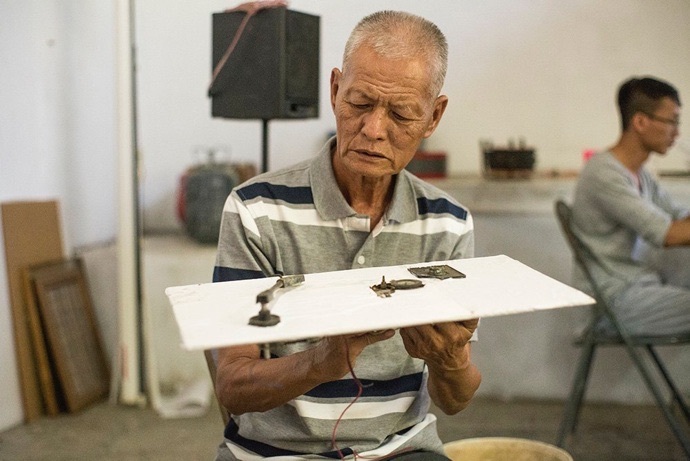 In this edition, Leoung in turn came to Chiang Mai to work and explore a new experience with Arnont. 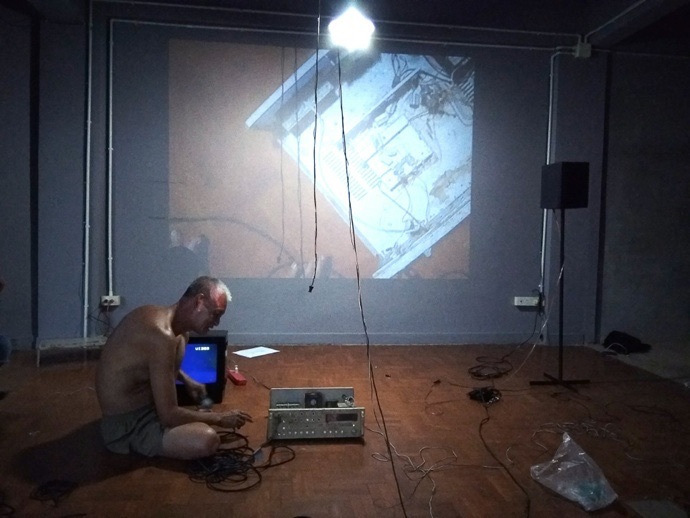 The collaboration results in a live performance and an exhibition at Chiang Mai AIR. 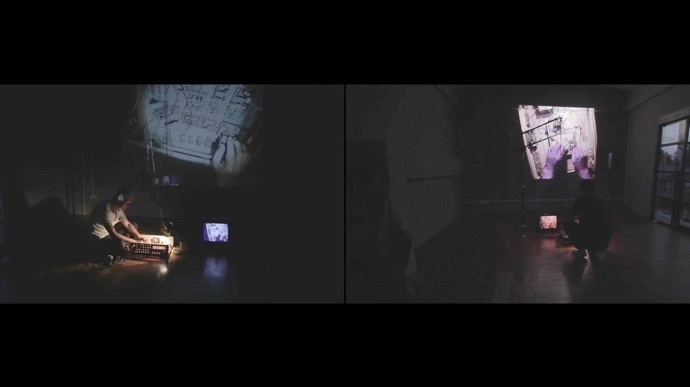 The artists engage and activate two levels of the space, turning it into an immersive sonic chamber. 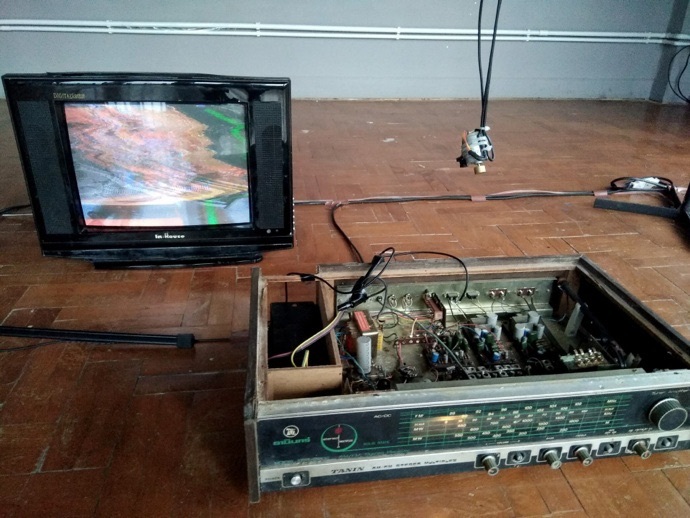 Using two recycled amplifiers as sound generators and image sources, the artists communicate by exchanging audio and visual information to each other across floors, whereas the audience can experience and act as an oscillation by walking up and down between the two stations.